Home Cryptocurrency XRP Is Santander Actually Using XRP (XRP) For Cross-Border Payments? Is Santander Actually Using XRP (XRP) For Cross-Border Payments? Ripple Inc. is one of the most popular blockchain-based payment protocol and exchange network. The firm connects banks, digital asset exchanges, payment providers and corporations through its numerous products. Ripple is the parent firm of XRP (XRP), although the firm said XRP is operating independently. Ripple has some products that power cross-border payments. Some of the payment protocols include xCurrent, xVia, RippleNet, and xRapid. 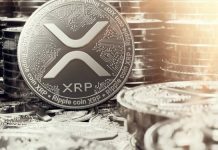 xRapid, which is the latest product of the firm, uses XRP (XRP) to process cross-border transactions. RippleNet and xCurrent are presently the highest used products of the firm. A lot of banks and financial institutions across the globe use them. However, the adoption of xRapid is also on the rise. Santander’s recent response regarding XRP (XRP) and Ripple has gone viral on Twitter. Santander is one of the largest Spanish banks. The Spanish banking giant was asked how it’s getting on using XRP for payments. In response to this, the UK help desk of the bank said it’s using XRP (XRP) to send money to nineteen countries. The United States is included in the nineteen states. The Spanish banking giant announced the launch of One Pay FX in April last year. One Pay FX is Santander’s blockchain-based cross-border settlements service for retail customers. But during the announcement of the product, Santander said the mobile app uses the xCurrent product of Ripple. The xCurrent product of Ripple is not based on XRP (XRP), so it doesn’t use XRP tokens. The product of Ripple that uses XRP (XRP) to process transactions is xRapid. This product was not even ready for mainstream use as of April last year. After the launch of xRapid, Ripple announced that those using xCurrent could easily switch to xRapid – which does use XRP. The firm made this announcement in November last year. Until this moment, no xCurrent customer has started using xRapid, as they have not made any announcement regarding the switch. In an interview with CoinDesk, Asheesh Birla – the senior vice president of product at Ripple – described the new option. Ripple’s vice president of product also stated that xRapid might not be available for adoption in nations such as the US. The reason is that regulatory clarity on digital currencies is still somewhat vague in the country. If the Spanish banking giant is now using xRapid, that means Ripple is likely to make an announcement soon. Until they make the announcement, Euro Exim Bank is still the only bank that has confirmed it is using xRapid for international settlements. 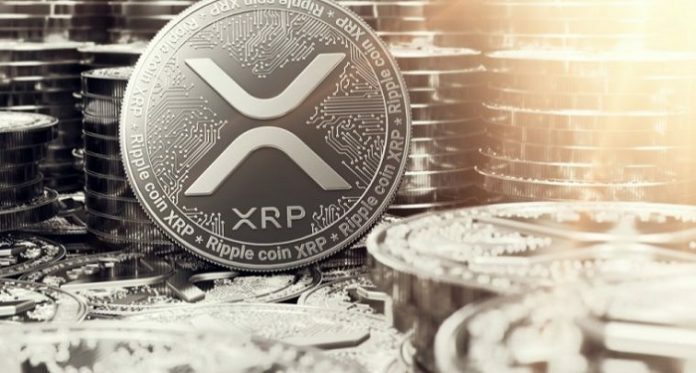 At the time of writing, XRP (XRP) is changing hands at 30 cents after a decrease of about one percent over the past twenty-four hours. The current market cap of the digital currency is $12.79 billion. The trade volume of the digital currency over the past twenty-four hours is $1.23 billion. Do you think XRP $589 price prediction is feasible?